Shot a portrait session last Sunday for Blanca and her beautiful family. 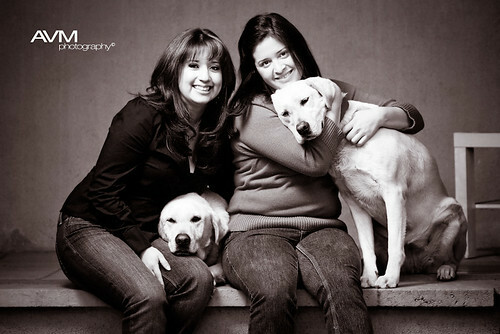 This is her 2 beautiful daughters Emily and Carla with their dogs Luke and Leia (yes just like in Star Wars). This photo may be a bit misleading seeing how calm the dogs look but they were far from it. It took forever to wrangle them into a halfway decent position. They just wanted to play. It was fun though. There was rain scheduled to arrive on that day but luckily we were spared. It's been a wet Friday and it looks like the weekend will be more of the same. I'm not complaining though. We definitely need it.